No wires. The Dash are the start of a truly wireless personal audio future. 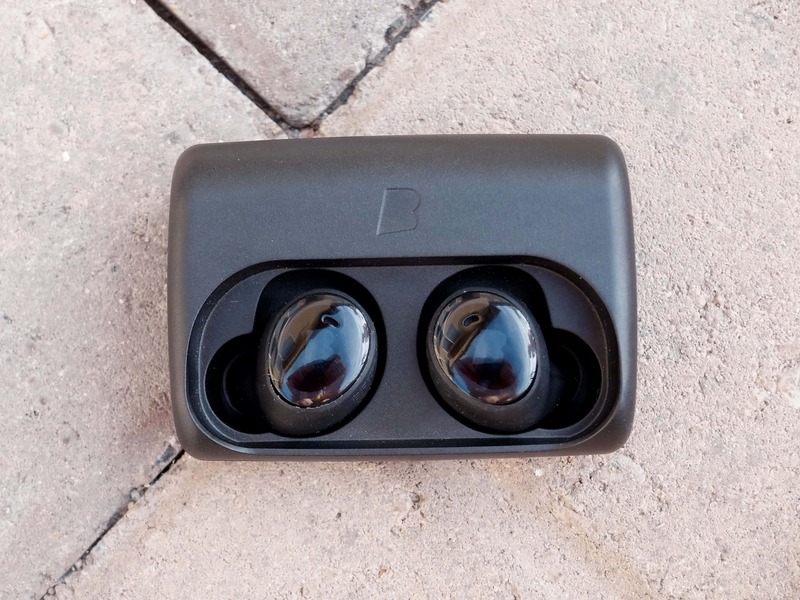 Once you stick The Dash earbuds from Bragi in your ears, they aren’t that different from other earbuds — they fit comfortably and sound great. The difference is that neither side is tethered. No wires. 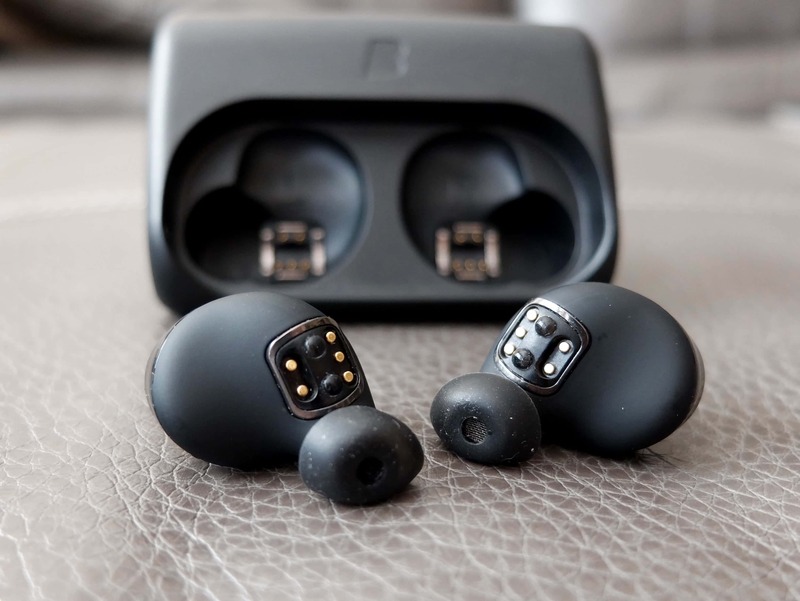 They’re the start of a truly wireless personal audio future. 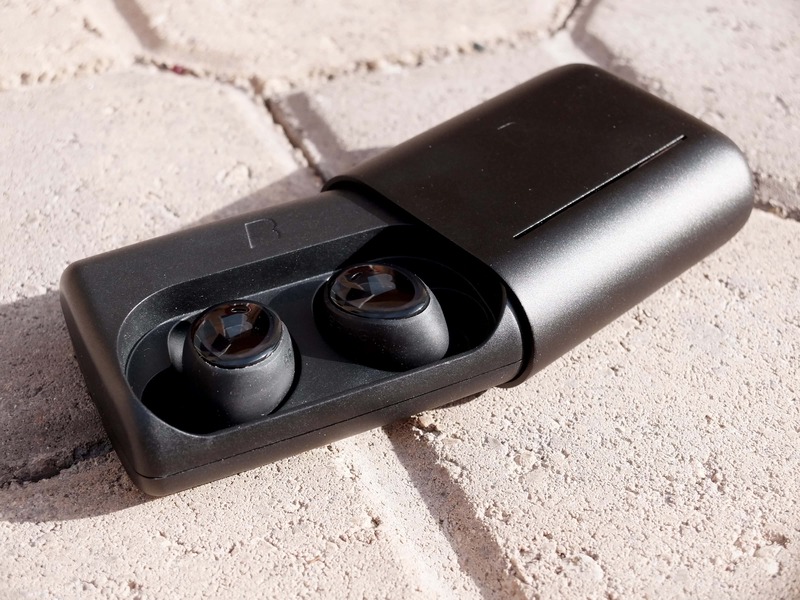 The Dash from Bragi are truly wireless headphones. If The Dash were only completely wireless, that’d be cool. But they’re not just that. They’re also waterproof for swimming, have a built-in heart rate sensor, contain 4GB of storage for use without a phone, and have a rad transparency mode. Eliminating wires has many benefits, namely in not ripping wires and earbuds from your ears accidentally. However, The Dash may look odd when talking to other people. 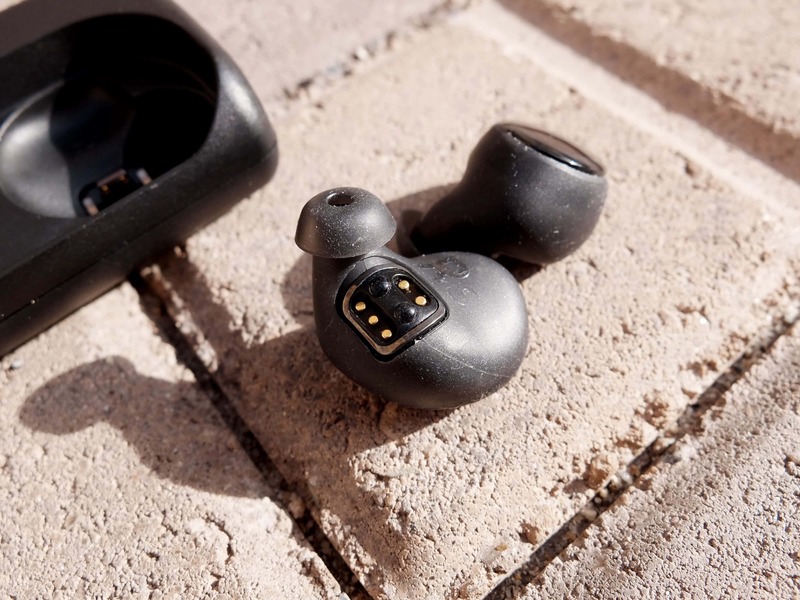 The small wireless earbuds — which come with a magnetic charging case — cost $299 and will seem fairly steep for some people. However, I’ve ripped the standard white Apple earbuds out of my ears so many times, I’ve vowed to pay whatever cost it takes to avoid that painful existence. The moral of The Dash: come for wireless, be delighted by their other features and execution. My favorite feature is transparency mode. 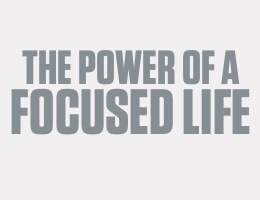 It’s smart and extremely useful. 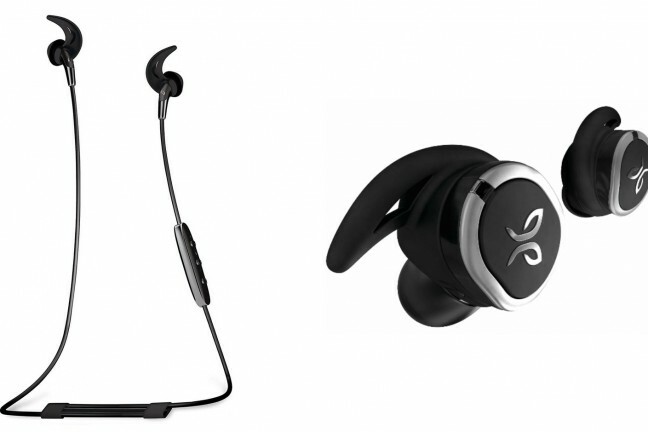 Swiping forward or backwards on the left ear piece will activate the microphones which allows you to hear the world around you without constantly having to take the earbuds out. 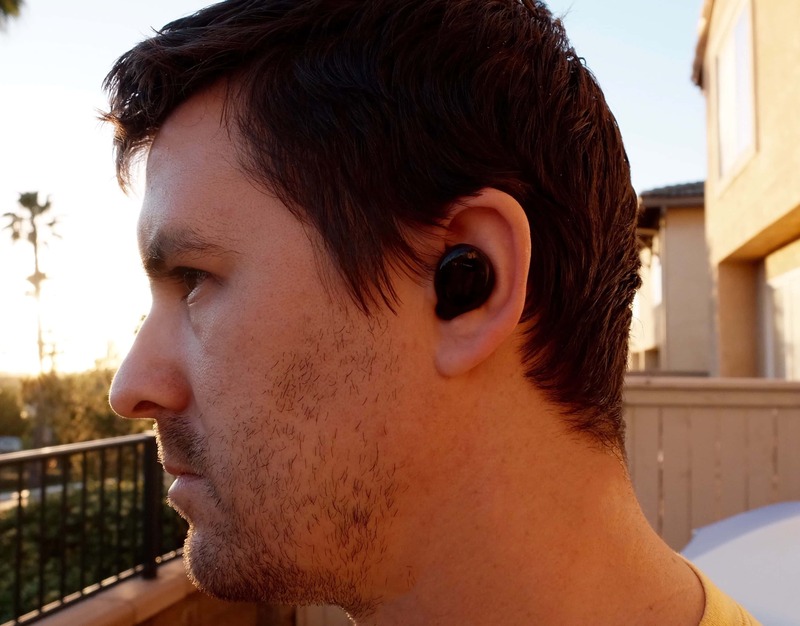 With transparency mode, I can keep the tight seal the earbuds provide and still hear others talking or things happening around me. This mode works with or without audio playing as well. The unique and truly wireless design feels like you’re wearing a set of hearing aids. When walking around without audio playing but transparency mode enabled, it feels like you’re wearing hearing aids — part of where the company’s audio experience comes from. They don’t give you super-hearing or anything like that, but the increased awareness of your own voice takes a little getting used to because of the artificial sound. It’s like you’re listening to a recording of things that are happening in real-time. The Dash are also heavily geared towards the active crowd. 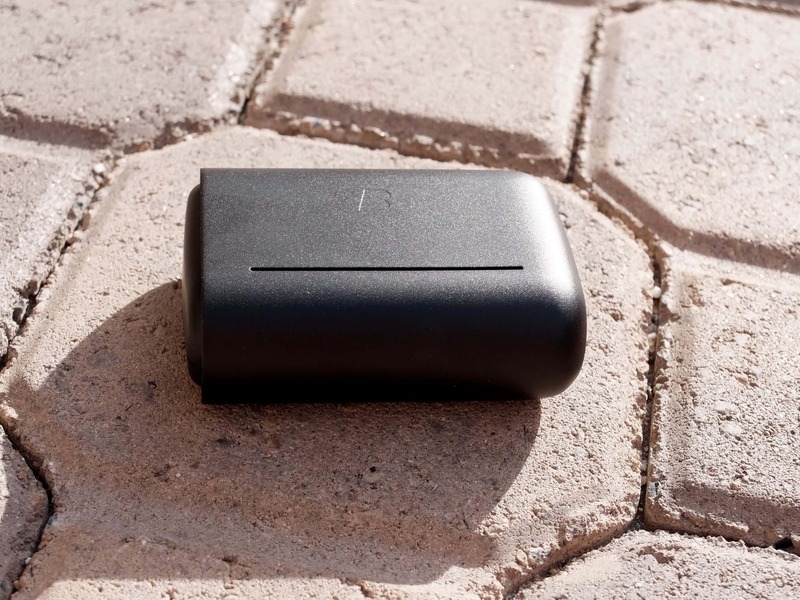 The built in heart rate sensor will detect and track workout sessions. (Unfortunately, the data currently isn’t stored or tracked well in the app once collected. This is said to get improvements in the future.) So while it’s cool the hear rate sensor is there, it’s more limited than, say, the Apple Watch’s heart rate monitor. 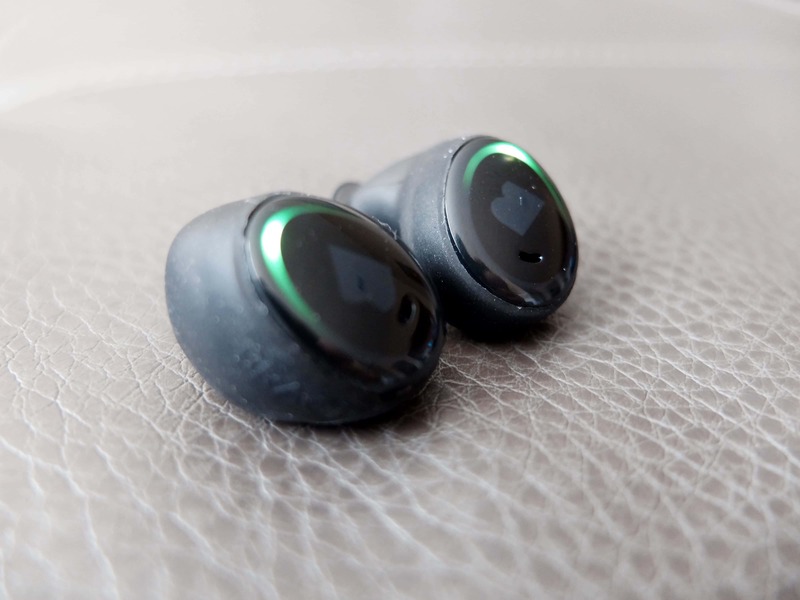 The Dash also use the heart rate light-sensing technology to detect when both earbuds are in your ears and then use the technology to connect and get ready to play. One slightly odd aspect of The Dash is that they have 4GB of storage built-in to function as a stand alone media player. This might have been a common feature 10 years ago, but most audio devices have long stripped this feature out to save costs or avoid complexity with smartphones. While adding music or audio hasn’t evolved much since the days of old MP3 players, it is a cool addition. The reason on-board storage works for The Dash is the ability to go completely minimalist. While exercising, like swimming or running, it makes sense that you’d want to leave your phone or connected device at home. The Apple Watch is an example of this minimalist thinking as well with its built-in storage for music. 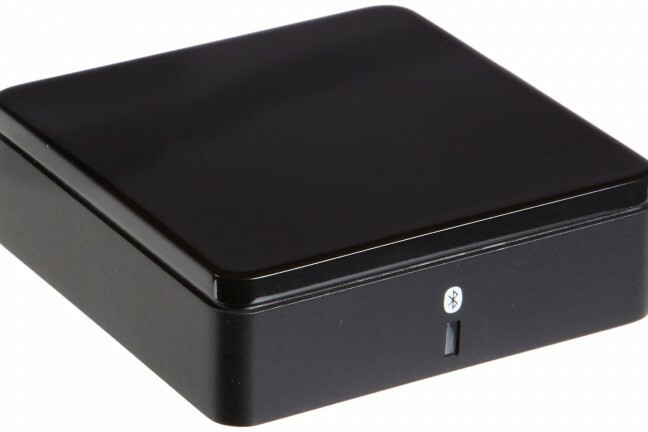 The Dash’s storage is cool — it works, but it’s a little bit of a pain. More on this shortly. Sound is critical for headphones and earbuds, but comfort is equally important in order to want to use them in the first place. The Dash comes with four different sizes of silicone tips. The larger ones create a grippier surface against the insides of your ear. The Dash come with four sizes of silicon tips. The larger ones actually cover most of the buds and create a little grippier surface up against the inside of your ear. Generally I don’t care for silicon tips — compared to foam ones — because they don’t stay as well in my ears. These, however, have worked just fine. As far as the actual size and comfort of the plastic earbuds, they have been better than expected. Usually I can wear them until the battery is low before I start to feel pressure from having them in my ears for two hours. Are The Dash a cool looking product? Nope. 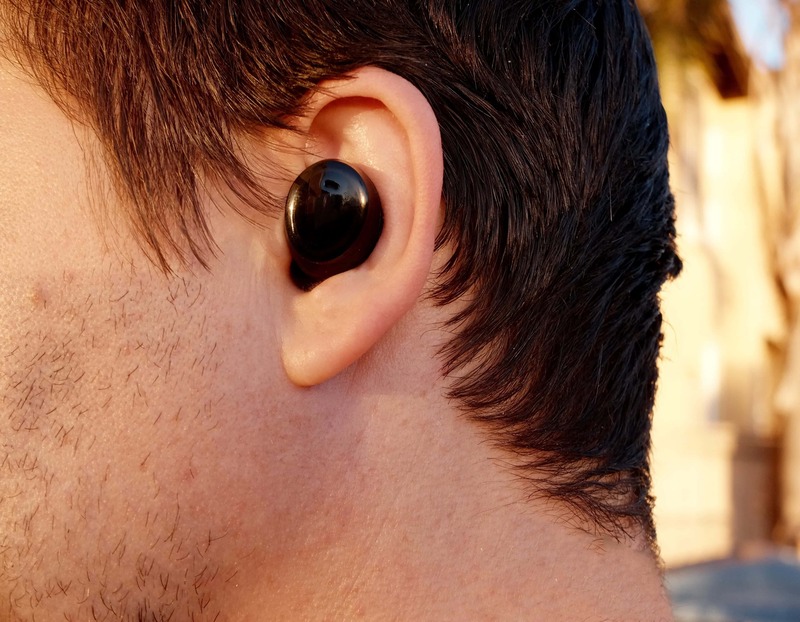 It doesn’t do a bad job with what it has to work with in the context of technological advancement, but I wouldn’t call the earbuds cool-looking. Although I can talk to people with transparency mode enabled, they’re usually looking back at me with just a hint of confusion. It’s like they’re trying to figure out if the black things in my ears are some sort of medical device or one for audio. In my time testing, no one has yet to comment, however, which tells me they probably don’t recognize exactly what they are or that The Dash are weird enough to warrant a discussion. I didn’t perform any scientific analysis of The Dash with regard to sound, but I was impressed. With transparency mode off, the sound isolation is fantastic, the volume is more than capable, and the highs and lows very respectable. Ever since it came out, I like to play D’Angelo’s album ‘Black Messiah’ on test speakers and headphones. The sonic range on the songs helps to see where the audio devices shake out. The Dash performed well. The features are abundant and executed well, but that doesn’t mean The Dash are all roses. Interestingly enough, any issues present have little to do with Bragi’s implementations. Instead, you see the problems that arise with earbuds (or devices) that are this small and untethered. Faceless interfaces are confusing. It took me more time than I’d like to admit to get The Dash paired to my phone and fully functional. Here’s an example: The left earbud needs to be touched and held for five seconds to be put into a mode so the Bragi app can see it, but the right earbud needs to be touched and held for five seconds so the earbuds can be paired to the phone in the Bluetooth system settings. I read the manual, but it still wasn’t clear that both handled separate connections. In order to take advantage of The Dash’s on-board storage, you have to put the earbuds into the magnetic charger and then plug the charger into your computer. Also, while the on-board storage is handy, it still requires putting the earbuds into the charger and connecting that to a computer and manually dragging songs into folders. Once you get that figured out, you have to blindly navigate the folder structure with taps on your right ear. Controls are another problem for these new, impossibly tiny, audio devices. Skipping tracks, answering the phone, and playing/pausing, all require the user to memorize a bunch of gestures. For the most part, The Dash are manageable in this regard, but navigating internal music through their playlists and getting to the activity tracking are both steps too far. Neither function is impossible — it’s just the stress that comes along with trying to remember them when on-the-go and needing to quickly activate the features. Battery life is generally alright, but The Dash have typically run out of juice after 2 to 3 hours of listening to music and podcasts. While battery life is OK, keeping The Dash in your ears for continuous listening throughout the day just isn’t possible. With transparency mode toggled on and offs and when listening to music and podcasts, I’d typically get 2-3 hours before the voice kicked in and would tell me the battery was low. I never pulled a Kramer and tried to keep going until the tank ran dry, but there’s definitely a healthy grace period between the first warning and shut off. Even after hearing the warning that the battery was empty, the music kept playing. The magnetic charging case holds The Dash nicely and doubles as a storage case in your backpack. Better yet, the case itself can be charged and can give The Dash some extra battery life during the day. The metal cover slides over top of the case, letting you to protect The Dash inside your bag and inductively charge them at the same time. 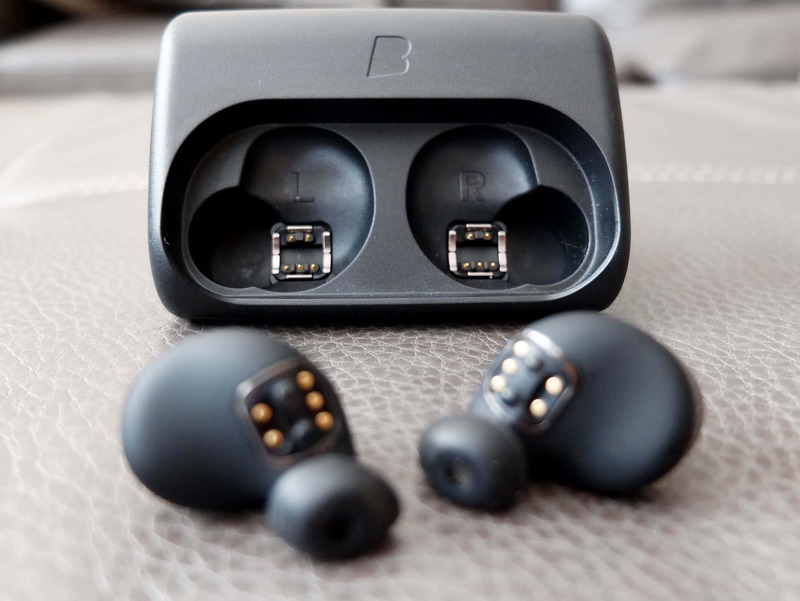 Bragi combats this potential battery problem with a case that will inductively charge the earbuds five times before the case needs to be recharged itself. The case seems like a good compromise between size and additional battery capacity. It even has a metal cover that slides on so you can throw the earbuds in a backpack and not worry about damage. 2016 is #theyearofwireless — that’s a prediction I’m sticking with since I made it at the beginning of January. There’s also a good chance Apple has truly wireless earbuds before 2017 if the headphone jack really is missing from its next iPhone. In this case, everyone might think this independent wireless technology is old and boring in 12 months. But right now, today, there’s one main competitor as I write this review. I ordered the Earin wireless earbuds back in 2014 and a year and half later they showed up at my door in the beginning of 2016. While they’re neat, they’re in a rougher state than The Dash. For instance, the Earins don’t do anything except play audio over Bluetooth — they don’t even have a microphone to take calls. The charging capsule is sleeker and smaller and they cost less than The Dash, but the Earin earbuds don’t sound as good and are much less comfortable. There will be plenty of options for these types of wireless earbuds soon. But right now, The Dash are easily at the top and the one to consider if you’re interested in this space. In an ideal world, The Dash would be $199, but even at a $100 more, it’s still not a bad value for those fed up with wires. Of course, all the features and novelties The Dash get right still hinges on their sound. The bass is respectable, treble is clear and crisp, and the earbuds get more than loud enough. 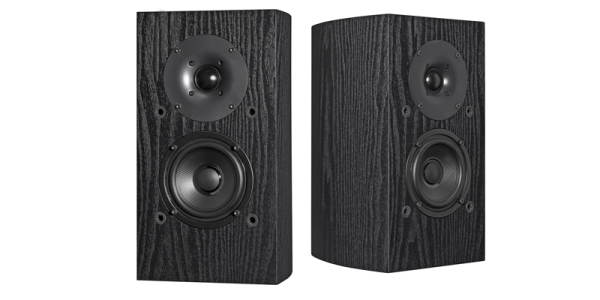 The sound is outstanding when considering their size and their packed-in technology. Even outside that context, they hold their own against earbuds in the $100+ range. 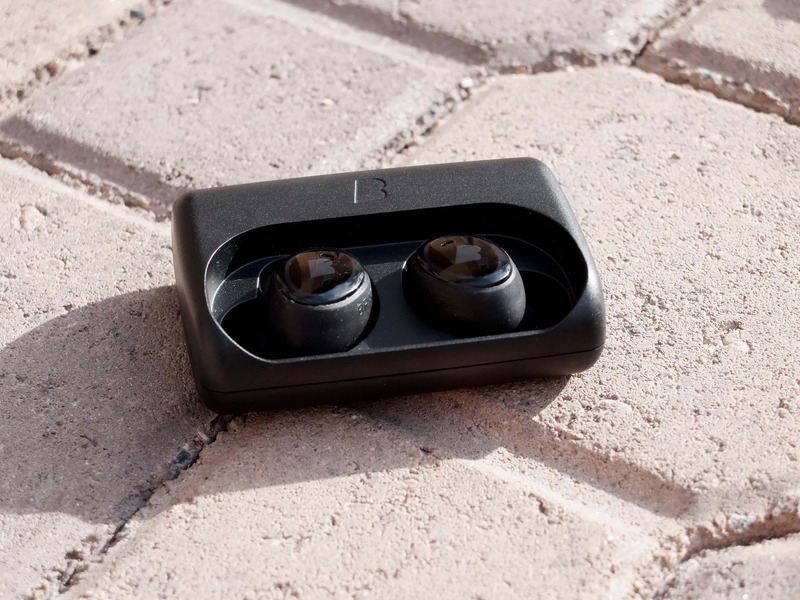 All in all, The Dash earbuds from Bragi have impressively good sound considering their untethered design, and provide good value for those people looking to utterly eliminate wires from their earbuds. This is a product that lives up to its hype and is perfect for travelers and those tired of earbuds getting caught and yanked out of their ears.